The ministry and Ebola-panic and despair? HomeDr. 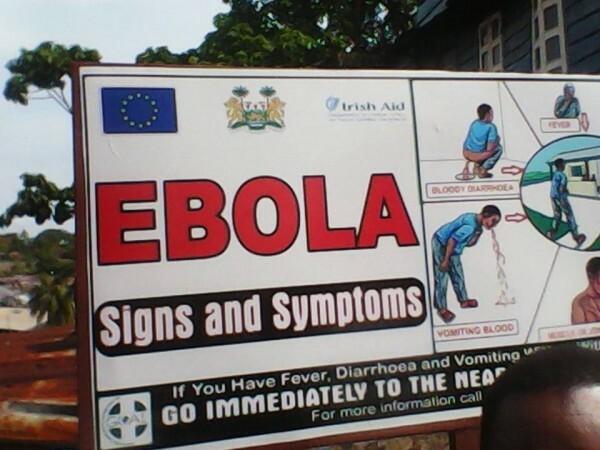 Sama Banya - PuawuiThe ministry and Ebola-panic and despair? I have attended only one government briefing session, since the whole Ebola story hit the headlines, beginning with the Guinea outbreak. 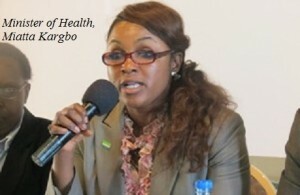 The session was for private practitioners, meaning non-governmental ministry of health institutions and personnel. I had underrated the effect of Freetown’s current traffic jams, so much so that it took me all of forty-five minutes to get from Naimbana Street to Youyi building. The Chief Medical Officer – Brima Kargbo, was already addressing my colleagues when I took my seat – very graciously vacated by a younger colleague for me to sit. The session went well, and one left with the feeling that the situation in Kailahun – especially in the Koindu area was stabilizing. I had confirmation about the Koindu situation by telephone conversation with a local resident in neighbouring Kissi Tongi chiefdom. But sadly, since a week ago the situation in Daru appears to have deteriorated. Whilst the government’s information ministry puts the total death toll as of now at sixteen, the people of Daru in the Jawe chiefdom put the figure much higher, made even more awesome by the reported death of the Paramount Chief’s wife. The chief has refused to leave his chiefdom headquarters; and while some people may regard that decision as foolhardy, I and I believe most people, would applaud his decision. The logic is simple. He was elected by his people as their leader; were he to run away it would be like a captain abandoning his sinking ship, and leaving his passengers behind to their fate. Paramount Chief Musa Ngombukla-Kallon has refused to do that and so he is staying put. What baffles me though is the government’s recent press release and accompanying action. If the number of deaths countrywide is sixteen, then does quarantining the entire district from its north-eastern border with Kono, down south westwards with those of Kenema and Pujehun districts, not mean that it is being dangerously economical with the truth? On the other hand, if the true death toll is only sixteen – for an infection with a high mortality rate, would the government imposition of rigid restrictions on the entire district not be tantamount to an action of panic and despair? I am not sure whether they have acted on the advice of the expert WHO team currently in the country. 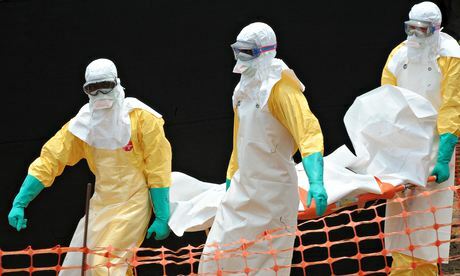 And if so, one would like to know whether that was the same method by which MSF dealt with the outbreak in DR Congo, where the death toll was sadly much higher. The initial propaganda which was adopted by government to create public awareness, may by itself have inadvertently aggravated the situation, where there would appear to be lack of cooperation on the part of infected victims’ families. The people were told that there was “NO CURE for the infection” and that they only had to adopt preventive methods, which in itself was correct. But sadly it became counterproductive. The corpses of the patients who succumbed to the infection were never returned to their communities for burial, which created further fear and suspicion. In the meantime, schools are closed in the entire district, weekly markets or ‘Ndorweis’ have been prohibited. And of even more awesome effect – no vehicles are allowed in or out of Kailahun district. I think the ministries of health and of information – including the office of the government spokesman, should convene an emergency meeting with stakeholders from the district to review the entire situation, especially the draconian measures now in place. How does one put the next piece of advice when the person concerned is Ngor John Koker’s granddaughter? But at these meetings, the young and versatile minister of health and sanitation must leave much of the talking to the experts. Bottom line: I and my colleagues in Panguma and Nixon hospitals dealt effectively with the early days of the Lassa outbreak, when our knowledge about the dreadful infection was either non-existent or patchy at most.